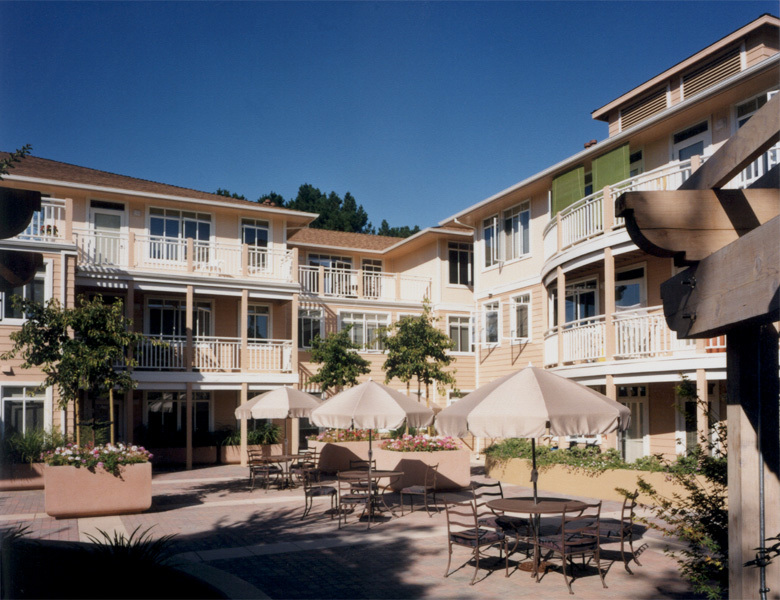 To provide much-needed housing units for Palo Alto's growing senior citizen population, a 51-unit apartment complex was designed for a site in the Downtown Park North area of the City. The buildings are designed to form a transition from adjacent bungalows to surrounding apartment houses and commercial buildings. 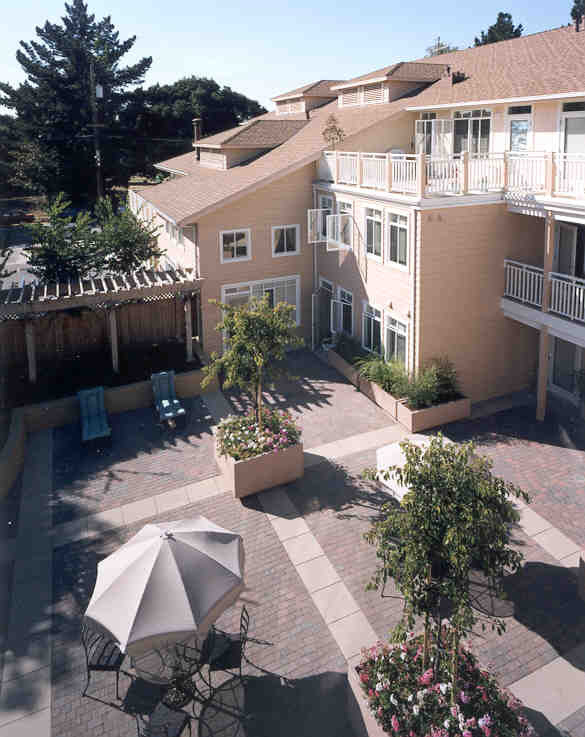 Architectural features include wood horizontal siding, small paned windows, and curved balcony decks and patio walls.